K92 Mining Inc. has completed treating an initial 2,050-tonne bulk sample from the interpreted Kora vein and has final results from treating this material (initial results describing the treatment of the first 800 tonnes of the bulk sample are stated in K92 news release dated Oct. 11, 2017). 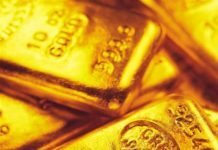 A total of 96 tonnes of concentrate at an average grade of 138 g/t Au and 19% Cu containing 427 ozs of gold and 18.2 tonnes of copper was produced from this 2,050 tonne bulk sample. 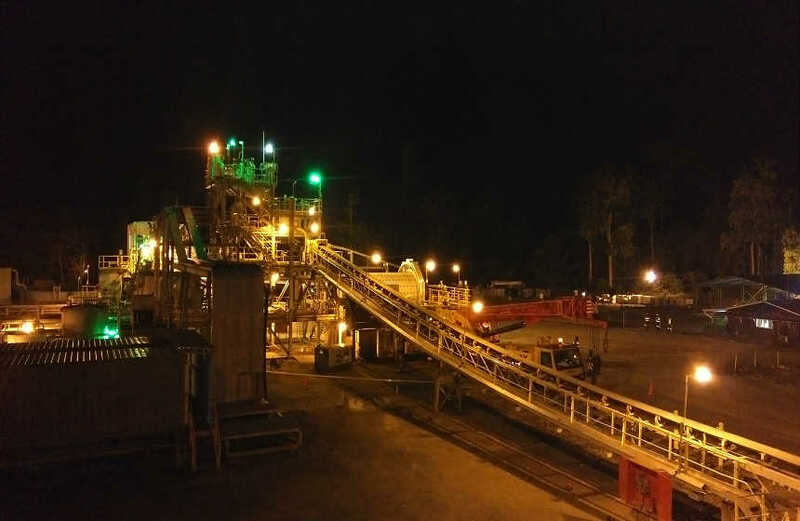 The bulk sample was mined from a four-metre-by-four-metre horizontal development designed to reflect the production stoping width envisaged in the preliminary economic assessment (“PEA”) referred to below. The average grade of the material treated was 7.11 g/t Au and 0.95 % Cu which is consistent with that predicted from grade control face sampling underground. 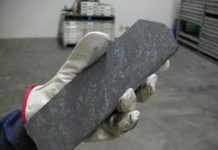 The Company believes that there is considerable potential to improve metallurgical performance beyond the impressive results achieved in treating this first bulk sample with the installation of a gravity gold circuit and the optimization of the flotation circuit following detailed review of the performance of the plant. 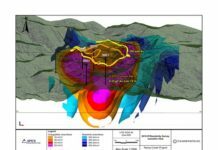 The horizontal development has mined through where K92 Kora hole KMDD0009 intersected the vein (see K92 news release dated May 24, 2017, for details regarding discovery hole KMDD0009 including true thicknesses).